This stunning armchair is the epitome of the Philipp Selva style and design. With a retro flavour drawn from a past classic design era, this chair makes a bold statement. The juxtaposition of the natural tones of the upholstery next to the dark solid beech frame has major visual appeal, immediately catching the eye. The upholstery, made from high quality cold foam, contoured on webbing, means there is no compromise on comfort along side incredible style. 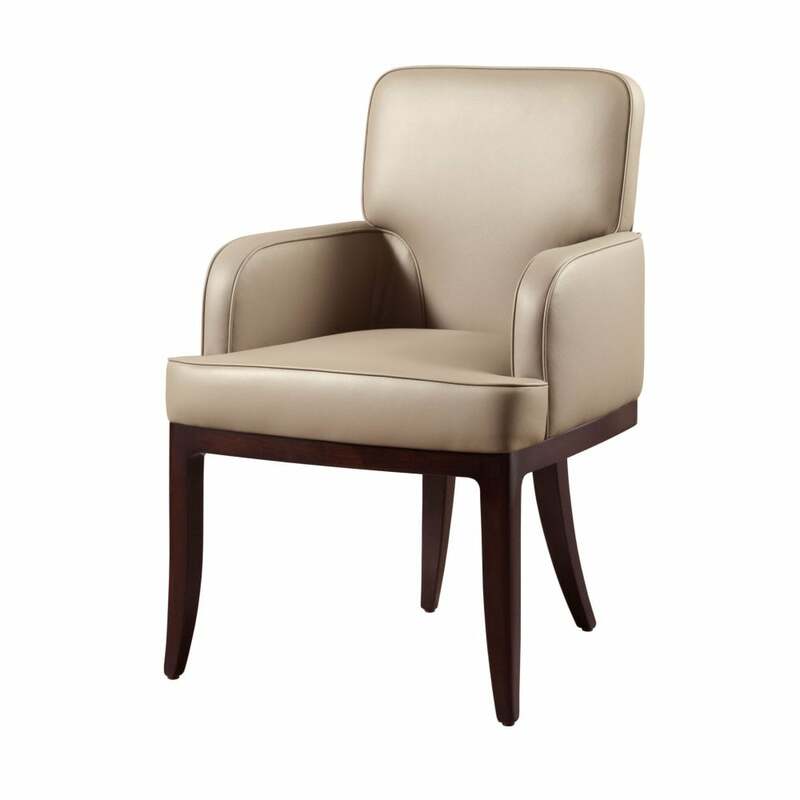 The piping finish of fabric and leather enhances the smooth curves and classic lines of the seat, wonderfully complimenting the contemporary styling of the chair legs. The positioning and interesting curve of the back legs gives this design it's unique identity and make it an overall stunning and collectable investment.